On-demand Promotions. 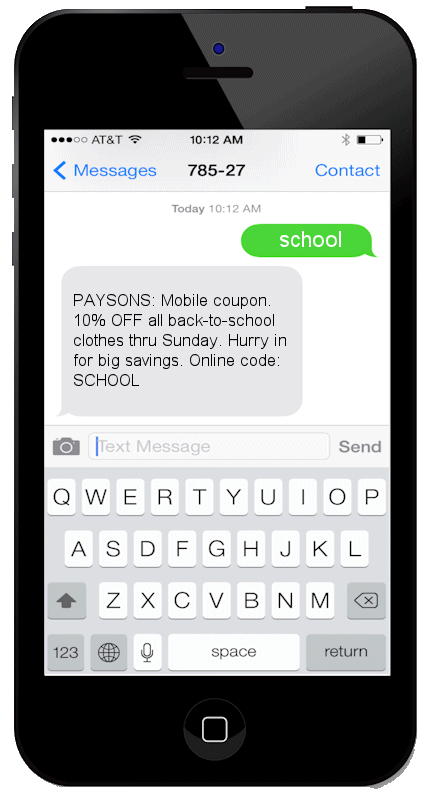 Based on retailer advertising, consumers text-in a term to the brand’s shortcode to receive an SMS coupon. Grow SMS Subscriber Lists. Retailers deliver digital coupons and marketing messages to customers who sign-up to a brand’s SMS subscriber list. Retailer Smartphone App. 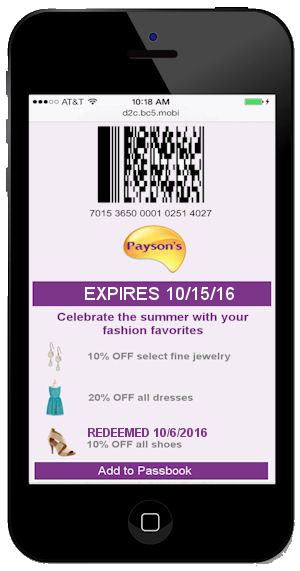 Customers are able to view and redeem digital coupons that are delivered directly to a retailer’s mobile app. Using CodeBroker digital coupons, you will be able to spend more time developing creative ways to engage with your customers and less time worrying about campaign set-up. In addition to facilitating better communication between you and your customer, CodeBroker will help you track your marketing efforts from a call-to-action straight through to redemption. Digital coupons can be delivered to any platform your customers wish to view their offers. Platforms supported include SMS, mobile web, mobile app, email, social, Apple Wallet, and an online shopping cart. CodeBroker’s unique security model ensures that your customers will always receive the same digital coupon regardless of the number of channels they choose to view their digital coupons. CodeBroker supports different coupon models such as multi-use, single use, and load-to-card. Once the digital coupons are used, they simultaneously expire in all of the channels. In addition, CodeBroker will mark the digital coupons as redeemed ensuring accurate accountability every time. Your customers will always know which digital coupons are valid. Personalization. Targeted offers that build brand loyalty. Location-based. Improve conversion rates through geo-fencing or customer check-in. Extend the digital aisle. Surprise and delight your customers with digital coupons when they pause at end cap displays using beacons. Rolling expiration dates. Offers expire a set period of time based on digital coupon receipt. Deliver customer convenience by automatically loading and updating passes in Apple Wallet.